The Hermann grid illusion and Mach bands are two illusions that are best explained using a biological approach. 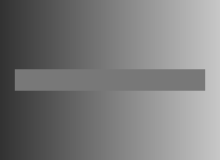 Lateral inhibition, where in the receptive field of the retina light and dark receptors compete with one another to become active, has been used to explain why we see bands of increased brightness at the edge of a color difference when viewing Mach bands. 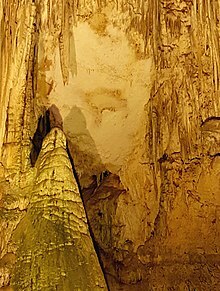 Once a receptor is active, it inhibits adjacent receptors. This inhibition creates contrast, highlighting edges. In the Hermann grid illusion the gray spots appear at the intersection because of the inhibitory response which occurs as a result of the increased dark surround. 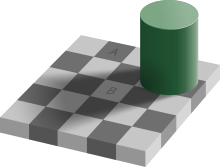 Lateral inhibition has also been used to explain the Hermann grid illusion, but this has been disproved. 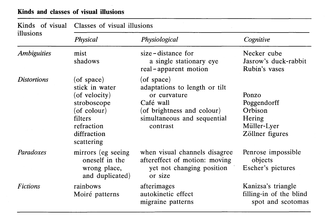 More recent empirical approaches to optical illusions have had some success in explaining optical phenomena with which theories based on lateral inhibition have struggled.